An original oil painting set in the Wild West. The vivid color palette is as untamed and unapologetic as the subject. 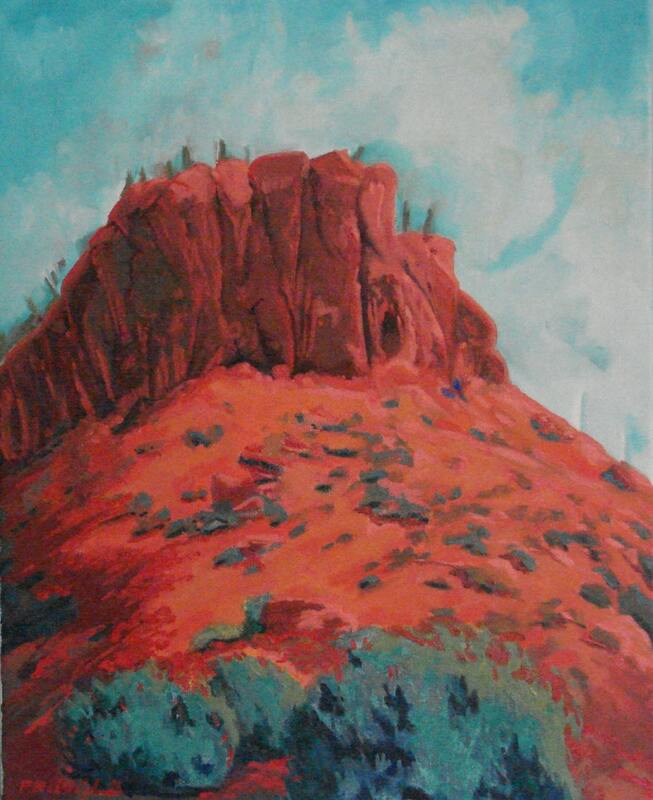 Reds,browns pinks and sage greens roll across the brightly lit landscape.